Celebrate summer with us! Best viewing of fireworks on Bayside from Palm to Amberjack. 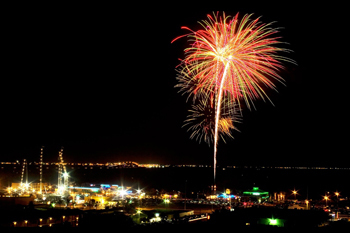 Enjoy fireworks on the beach every Saturday this summer! Three miles north of the Queen Isabella Causeway near Hilton Garden Inn, La Quinta & Claytons Beach Bar.